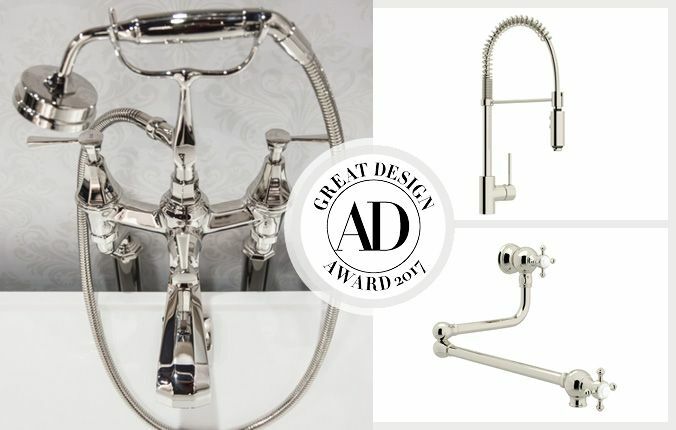 Irvine, CA – November 6, 2017 – ROHL, a leader in authentic luxury faucets, fixtures, fittings and accessories for the kitchen and bath, was recently honored with three AD Great Design Awards by Architectural Digest magazine. 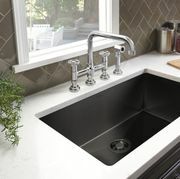 The ROHL Modern Architectural Pro Pull-Down Kitchen Faucet (LS64L) and the Perrin & Rowe Wall Mount Swing Arm Pot Filler from ROHL (U.4798) were honored in the category - “Standout Sinks and Faucets” for the kitchen. Also honored was the Perrin & Rowe Deco Exposed Floor Mounted Tub Filler with Hand Shower (U.3120LS/1) from ROHL for the bath category. As a leading global design authority, AD celebrates the very best in design in its magazine each month. To further elevate distinctive products, the magazine created the AD Great Design Award to highlight the best of the best. The ROHL Modern Architectural Pro Pull-Down Kitchen Faucet and the Perrin & Rowe Pot Filler are featured in the November issue of AD and online. The Perrin & Rowe Deco Exposed Floor Mounted Tub Filler with Hand Shower was featured in the April issue of AD. 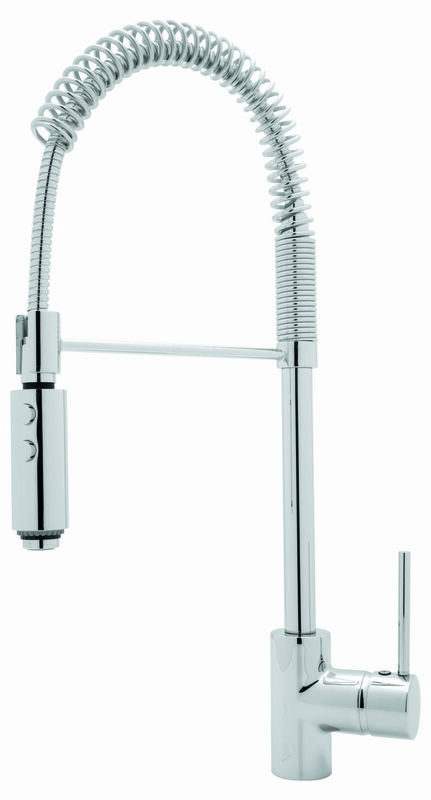 The ROHL Modern Architectural Pro-Pull Down Kitchen Faucet is authentically crafted in Italy. Its modern design is inspired by the Pirelli building in Milan. It celebrates pure lines, simplified forms and precision engineering. At more than 21” tall, the metal hose and pull-down spray are ready to help prep or clean for any culinary occasion. Once considered only a luxury kitchen accessory, the pot filler is becoming a popular choice again for the kitchen. The swinging faucet mounted above the cooktop allows the home cook to fill pots directly on the cooktop without having to carry heavy water-filled pots from the sink. 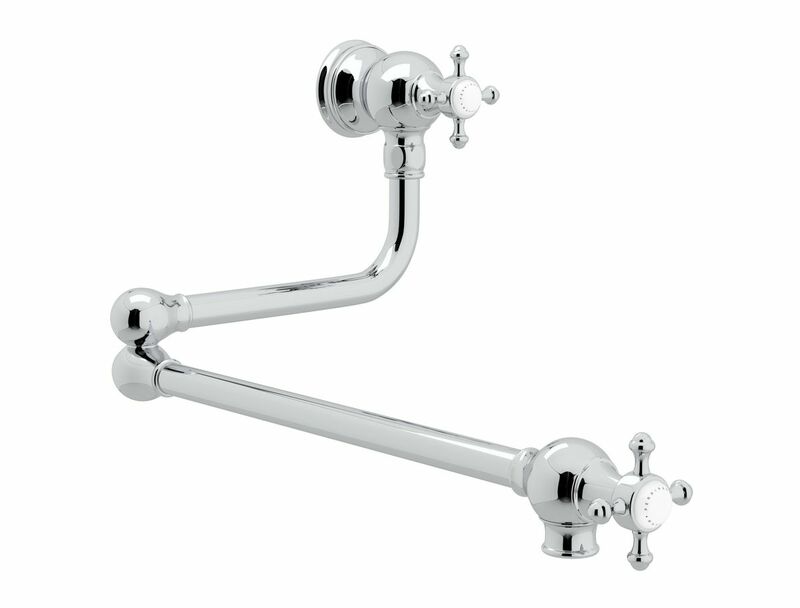 The classic design of the Perrin & Rowe Wall Mount Swing Arm Pot Filler from ROHL adds a touch of elegance and sophistication. Also from Perrin & Rowe, the Deco Exposed Floor Mounted Tub Filler brings that same touch of sophistication to the bathroom. During the early 20th century, the Art Deco movement flourished in London. Luxury hotel properties like Claridge’s and the London Savoy today still sport the motifs of the period. Inspired by these luxurious spaces, the Deco Tub Filler was created. It is designed and crafted in Great Britain. It features a geometric design that requires a hand-polished finish using a special jeweler’s technique. The ROHL Modern Architectural Pro-Pull Down Kitchen Faucet and the Perrin & Rowe Wall Mount Swing Arm Pot Filler from ROHL are featured in the November 2017 issue of AD. The Deco Exposed Floor Mounted Tub Filler was featured in the April 2017 issue. In 1983 ROHL revolutionized the decorative plumbing and hardware industry when Ken Rohl discovered and introduced the Pull-Out Kitchen Faucet to America. 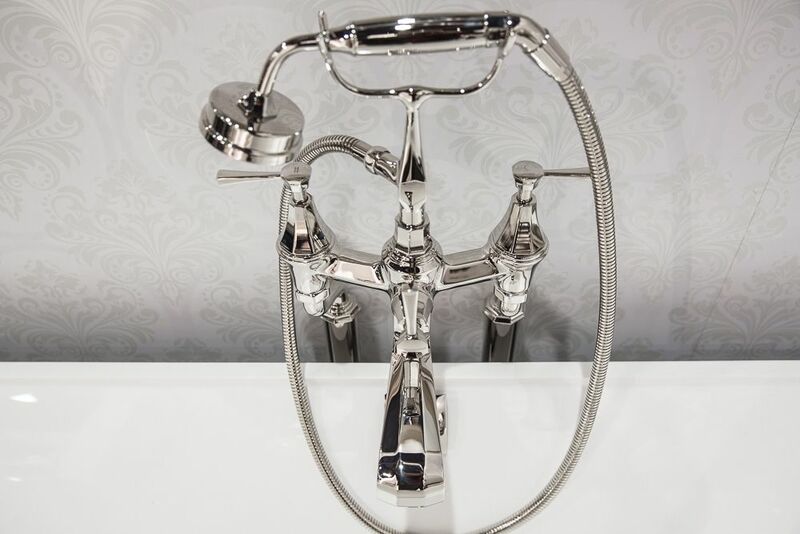 Today, all ROHL products are still discovered and sourced from towns and villages of Great Britain, Western Europe, North America, and New Zealand, where they are crafted to rigid specifications and uniquely tailored for luxury homes, resorts and boutique hotels. 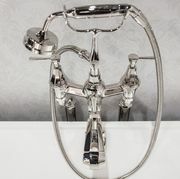 Each ROHL product is a statement of Authentic Luxury, where original design and a commitment to craft come together, connecting touch of hand, truth in materials and place of origin. ROHL is a member of the Fortune Brands Home & Security, Inc.’s Global Plumbing Group (NYSE: FBHS). 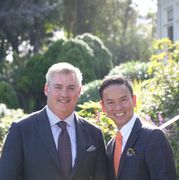 For more information, please visit rohlhome.com.